SLHL asked local landscapers their favorite plantings to attract butterflies and bees. Lantana and Trailing Lantana. Jim Graeler, Chesterfield Valley Nursery. Professor Kippenburg Dwarf Aster. David Sherwood, Sherwood's Forest. Butterfly Weed. Daniel Mee, Frisella Nursery. Pink Micro Chip Butterfly Bush. Ann Lapides, Sugar Creek Gardens. Coneflower. Linda Bergstrom, Prestige Landscape. 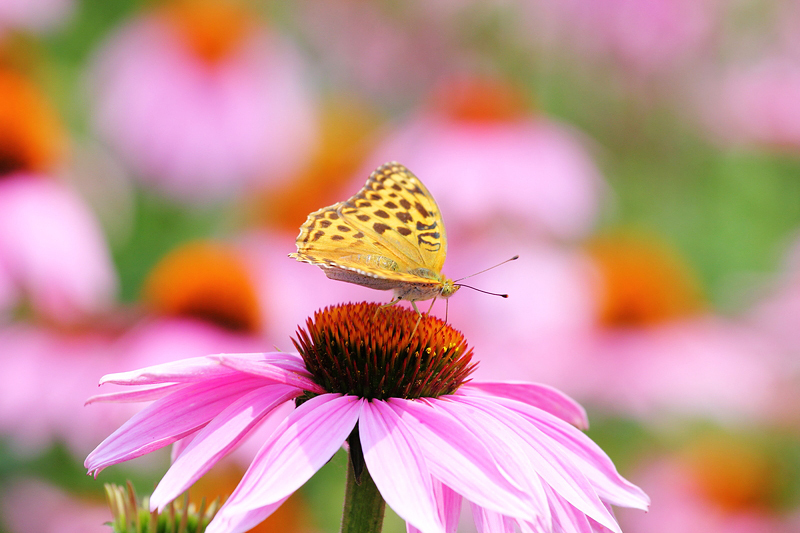 Butterflies, bees and hummingbirds aren’t just fun to see fluttering about your garden. They also serve as pollinators for plants and flowers. SLHL asked local landscapers their favorite plantings to attract butterflies and bees. 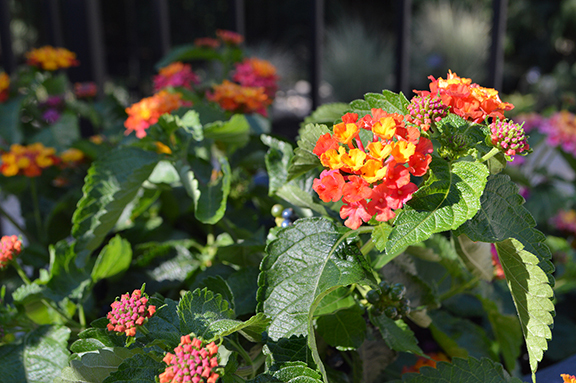 “Lantana (Lantana camara) and Trailing Lantana (Lantana montevidensis) are a favorite of butterflies and hummingbirds alike. Typically found as an annual specimen in our area, it is a low-maintenance plant and can survive intense heat and drought. They are one of the most colorful plants in the garden, available in a multitude of colors and multihued varieties.” Jim Graeler, Chesterfield Valley Nursery. “The perennial Professor Kippenburg Dwarf Aster is a great flowering plant that blooms in late summer and early fall. This aster is drought and heat tolerant and will continue to bloom through early fall after other flowers quit. Bees and butterflies are attracted to its bright, clear-blue, daisy-like flower. It's a great small border-type plant or for use in containers.” David Sherwood, Sherwood’s Forest. 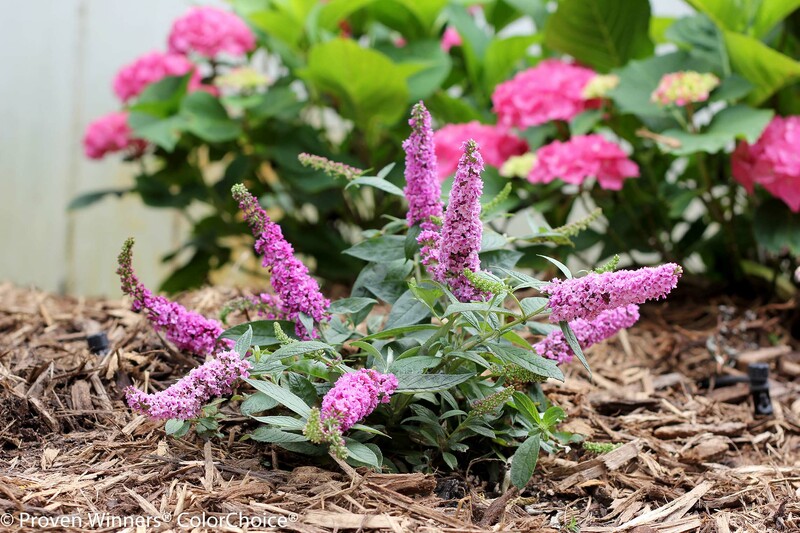 “The Pink Micro Chip Butterfly Bush is small yet mighty! A mini Butterfly Bush, Pink Micro Chip only grows 18-24" tall and wide. Abundant pink flower panicles appear nonstop from early summer into fall. Its diminutive size makes it ideal for small gardens, containers or as a ground cover or edger. Butterflies delight in its sweet nectar.” Ann Lapides, Sugar Creek Gardens. 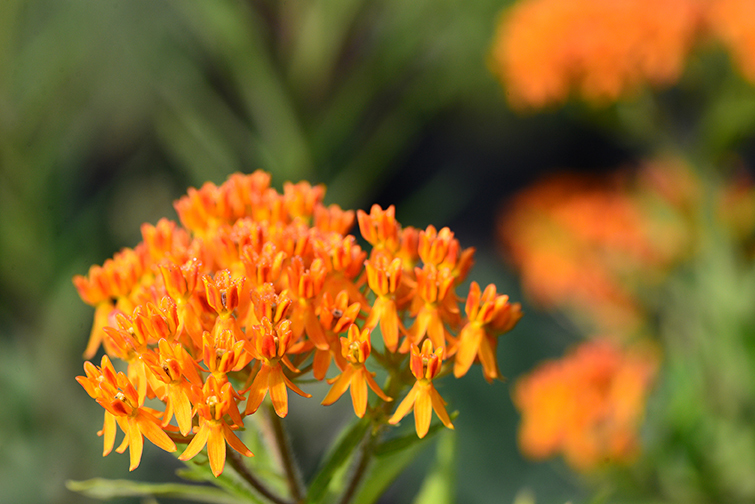 “One of our favorite plants to attract butterflies is Asclepias, also known as Butterfly Weed. This Missouri native has brilliant-orange flowers from June through August. 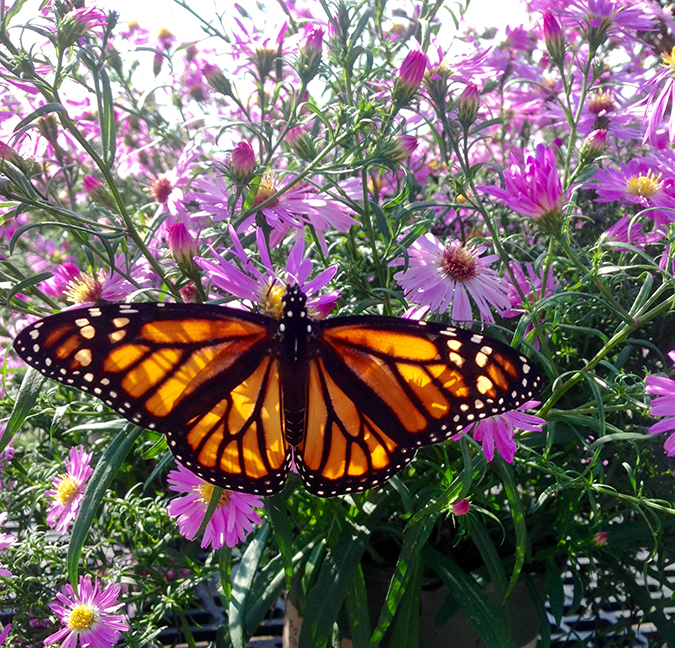 The flower nectar is great for attracting adult butterflies, while the leaves are an excellent food source for Monarch larvae.” Daniel Mee, Frisella Nursery. “Echinachea or Coneflower is a long summer-blooming perennial that attracts butterflies and birds. Finches love them and so do the butterflies. The most common color is purplish pink, but they are now available in a variety of colors and heights.” Linda Bergstrom, Prestige Landscape.